Season steak with chili powder and ½ teaspoon each salt and pepper. Broil or grill to desired doneness, 3 to 4 minutes per side for medium-rare. Let rest before slicing. In bowl, toss plum tomatoes, scallions, jalapeño, lime juice, 1/2 teaspoon salt and 1/4 teaspoon pepper. 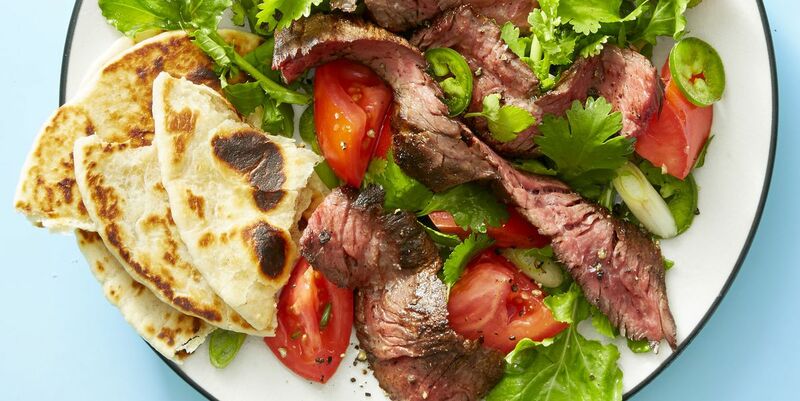 Toss with cilantro and arugula; fold in steak. Serve with charred flour tortillas. Previous articleThree Strikes and You’re Out!